(Nominated for the 2014 National Book Award) Earning starred reviews from Library Journal, Booklist, Publishers Weekly, and Kirkus Reviews, this novel from the Pulitzer Prizewinning author of A Thousand Acres is the first in a trilogy about 100 years in the Langdon family. 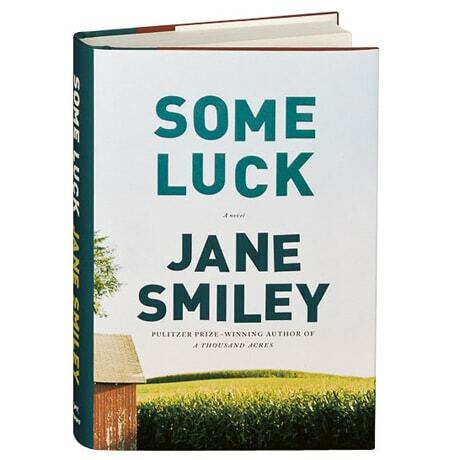 Some Luck begins in 1920, in Denby, Iowa, as farmers Walter and Rosanna Langdon abide by time-honored values that they pass on to their five wildly different children: Frank, the brilliant, stubborn first-born; Joe, whose love of animals makes him the natural heir to his family's land; Lillian, an angelic child who enters a fairy-tale marriage with a man only she will fully know; Henry, the bookworm who's not afraid to be different; and Claire, who wins the highest place in her father's heart. Each chapter covers a year, through 1953, taking us through cycles of births and deaths, passions and betrayals, among characters we come to know inside and out.